An absolutely beautiful machine. It was made rather unchanged from 1881 to 1914. 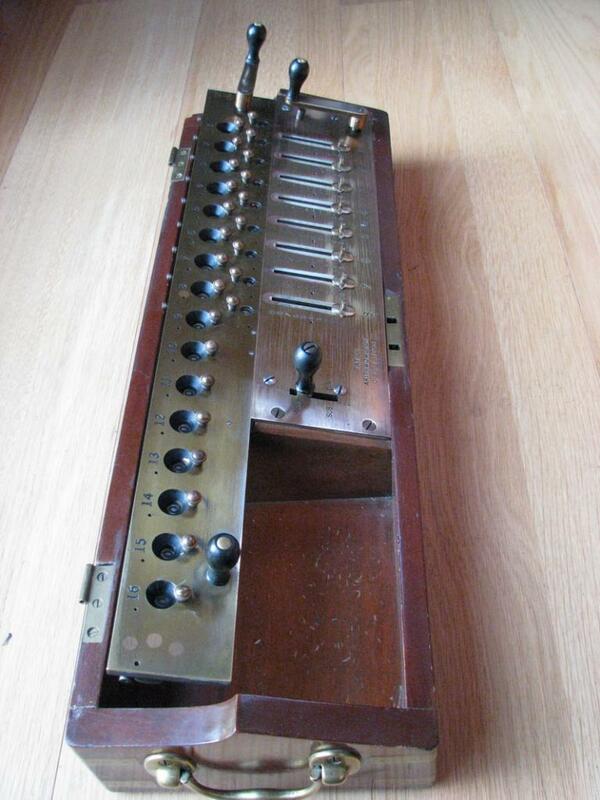 Despite what is written in Martin, the inventor is Samuel Tate, a metal worker from Sedgley (1840-1917), and his patent for improving the Thomas type arithmometer applied for in 1881 and granted in 1884 (I am unable to locate it though) was bought in 1883 by a London publishing firm, Charles and Edwin Layton. 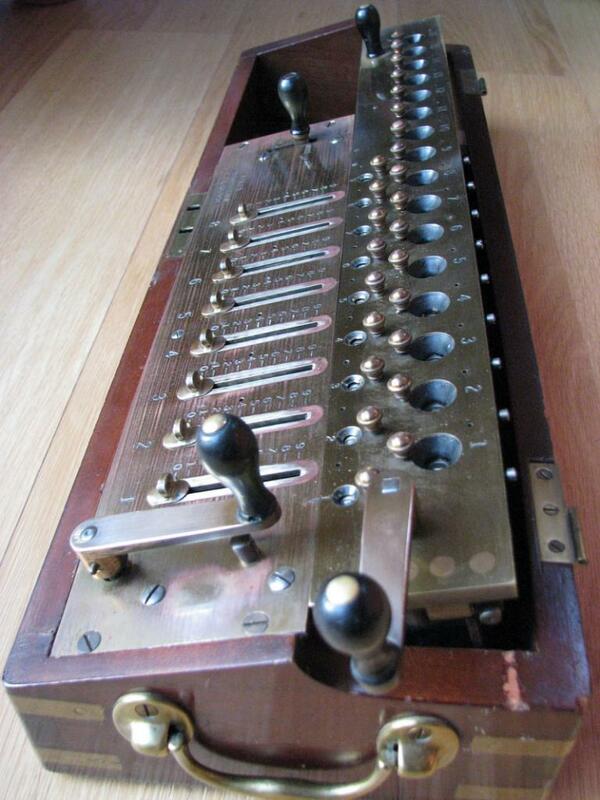 They mainly occupied themselves with printing actuary tables and insurance related items, but were really "Jacks-of-all-trade", because they invented the printed and embossed greeting card in the 1860s, and obviously they thought that with their connections in the insurance industry, it was a good idea to have a calculating machine on offer. It turns out they were right. 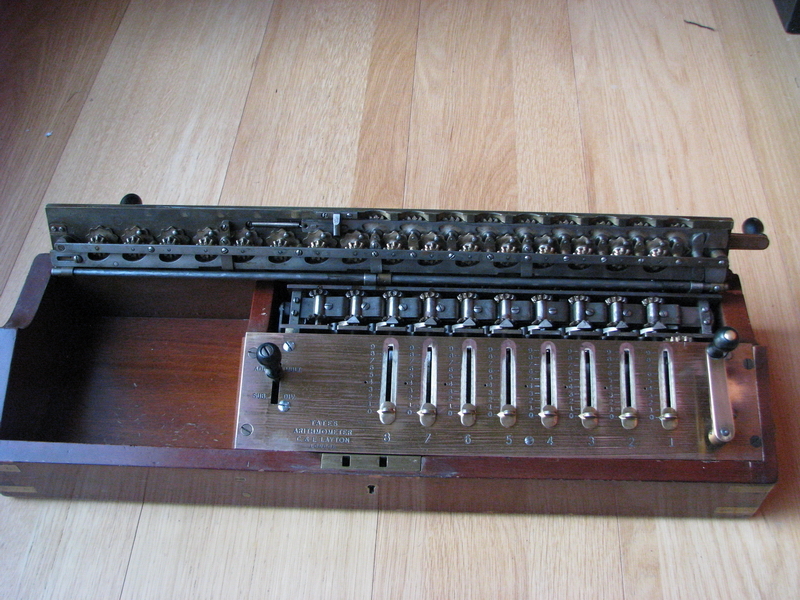 Samuel Tate's patents helped immensely, however, in 1909, Charles Layton patented improvements to the calculating machine under his own name, namely a direction switch on the righthand side of the machine, which facilitated shortened multiplication without having to reach over to the direction switch on the left side of the top plate. And what a machine it is ... it is the most solidly built arithmometer I know of - the sheer size and weight of all the elements of the construction are impressive, and everything is completely overdesigned, to a point where you can probably drop it out of a plane and still have it function afterwards. 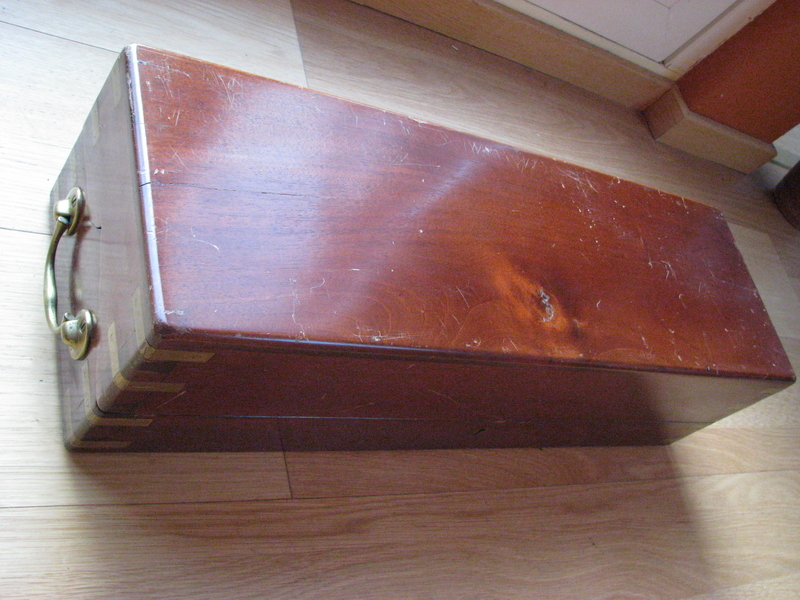 There is a beautiful mahogany box with brass corner straps and carrying handles. One problem with Tate arithmometers is that people do not realise that the clearing crank is designed to be taken off the machine for storage. The box does not close with the lever in place, and it is supposed to point to the right anyway. Clearing is very simple - push the lever up for clearing the counter register, and push it down for clearing the result register. You need to manually lift the carriage to do this. 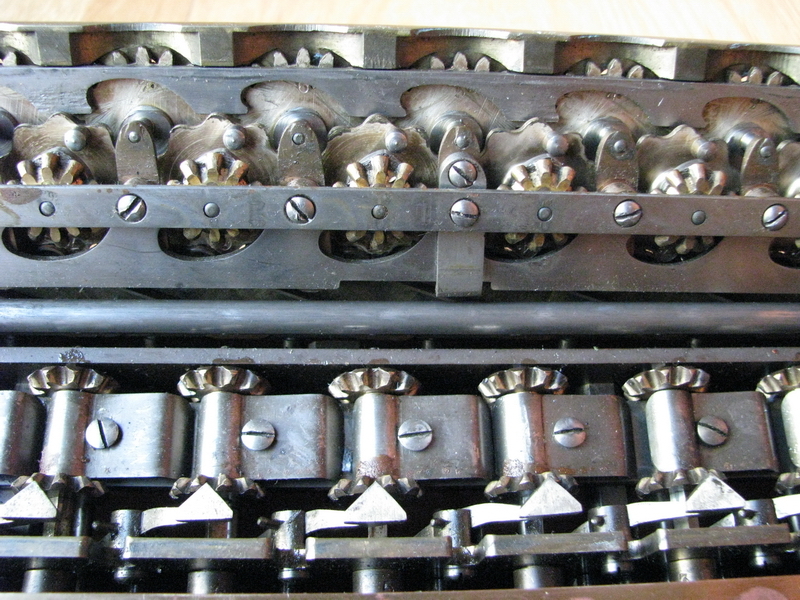 Failing to remove the crank prior to closing the box has the effect that the crank is bent, and the mahogany on the inside of the lid is damaged. The serial number of this machine is 1313. I do not know of a list relating serial numbers to years for the Tate arithmometer, but there are a few subtle clues on the top plate. 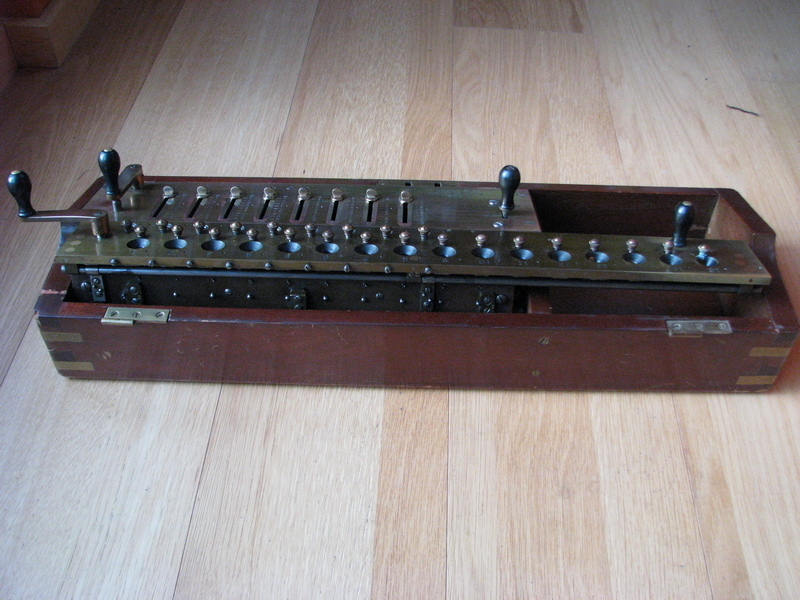 This machine has the inscription "Tates arithmometer, C&E Layton, London". 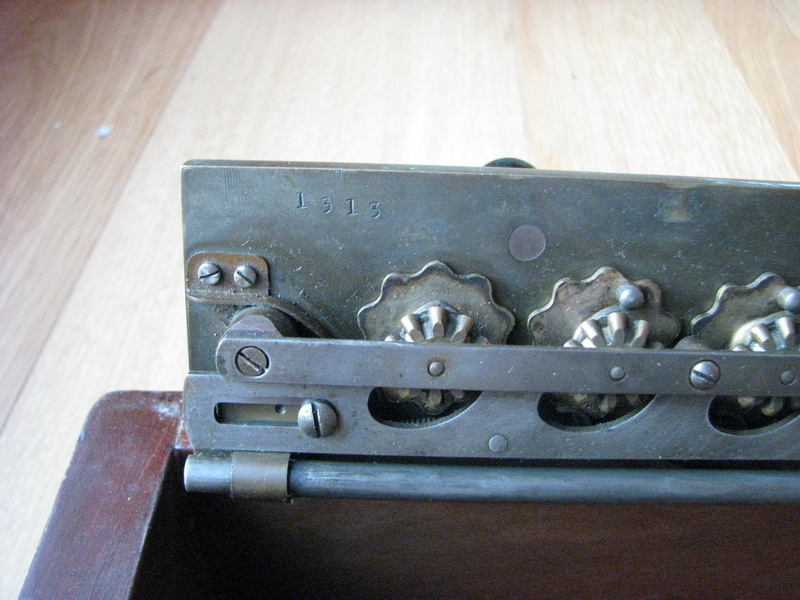 Another inscription is known, which reads "Tates patent arithmometer, C&E Layton, London". Later, the 1903 patent (GB190327364) is mentioned in the inscription, and Tates arithmometer" changes to "Tates improved arithmometer". This patent involves a grooved top plate for sliding the clearing bar through instead of strap bearings, as well as spring-loaded sliding stepped drums with an extra tooth that effects the tens carry. This machine does not appear to have those improvements. Later still, the patents of 1909 (GB190908984 and GB190912032) are mentioned, as well as Math. 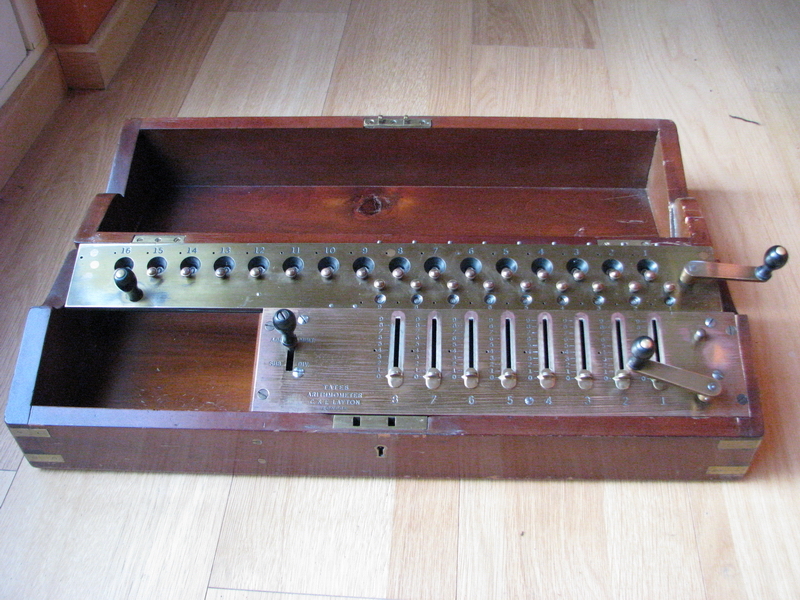 Bäuerle's patents from 1907, the machine has an input control register below the setting sliders, and is named "Layton's improved arithmometer". This machine also has no ten's carry in the counter register. So this appears to be the earliest form of the machine, with the earliest inscription, and dating back to 1903 or earlier. 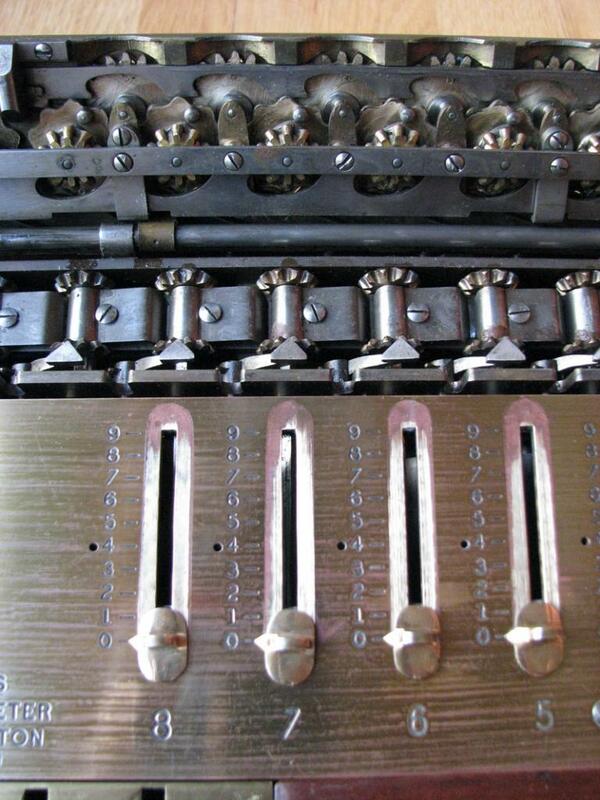 Being able to sell 1313 copies in less than 22 years is quite an achievement for a machine as expensive as this one!